Good Morning friends!! Thank you so much for the warm welcome extended to my new creative team! Don’t forget, you can scroll back to the Creative Team Blog Hop post and leave a comment to be in to possibly win an Amazing Paper Grace die of your choice – winners will be posted on May 9th. In the mean time I’m popping in quickly to share the Day of Giving Friday card for today. This card is built on a base that is 6-1/2″x 6-1/2″. After building up a couple of matted layers, I took one of my new dies, Spellbinders S4-733 Braided Grace and cut two. Placed together, I offset one so that the motif would have 8 evenly spaced points. I used the center dotted motif in the interior then stamped the sentiment from Spellbinders SDS-054 Giving Occasions onto the cut tag in the set. I arched it to fit inside the dotted motif to give it a tiny bit of dimension. Ah and , the final piece is a pre-tied bow to give everything just a little bit of glamour! For new readers, every Friday it’s my pleasure to give away a card. The card goes to a randomly picked reader (worldwide) who leaves a comment in our conversation. Want to know more about Day of Giving, here’s a link to my FAQ’s just check out #11. You can check the list of winners HERE! For your comment: I’ve come to know that everyone has a little bit of ‘collector’ in them. What do you collect? STUNNING card Becca!If I only had an ounce of your creativity! Wow – what a stunning card! Absolutely beautiful! What do I collect? Dies!! Wow! Your card is so gorgeous! Becca this is so very elegant and absolutely stunning. I really do have to get the dies you have used. Thank you for the wonderful inspiration you provide us all with. 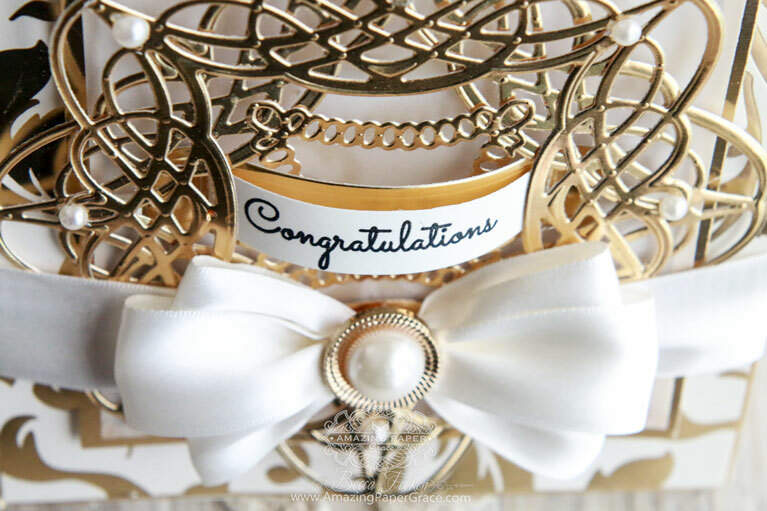 Your card is so beautiful, and elegant …love the gold! What a stunning card Becca. I wish I had just a fraction of your creativity… especially when it comes to making bows!!! OH WOW, BECCA!!! WHAT GORGEOUS WORK!!!! ;) LOVE THIS! What a Beautiful Card. This will be my next purchase. Good morning Becca, fabulous card, love the colour!!! Come on Becca I collect paper craft stuff : ) but my other downfall is John Wayne I love him sad I know he’s not really my era but I’ve got loads of stuff too much to mention!!! Love this card and really all your cards this is just beautiful Might have to get the supplies and try making one for my sons wedding. Or even better to win the card. I love dragonflies and collect quite a few of them. You have inspired me to make beautiful cards. Hi Becca, your card is elegant and was fun to make I’m sure!!! I love hummingbirds and have been able to keep a few items since my move to a one-bedroom apartment…did have to downsize a lot so many or my hummer items are in someone else’s house. HOwEVER, I did bring all my dies, a good portion of my stamps, and a lot of my crafting – so would have to say I collect ‘crafting items’ – LOL!!!! Your blog hop was so fun this week! Each person’s style resonates to your sensibilities but is distinctly different so I think they will bring depth and dimension to all the collaborative possibilities. Can’t wait to see them! Speaking of your dies, I don’t think I carefully read the “Affiliate Links” section of your blog before today and it’s a critical piece in supporting your work. I will make it a point to use your BLOGS as the portal to purchasing your dies and am using this comment to encourage others to do the same. My crafting supplies can LOOK like a collection but what I do collect are crystal butterfly pins. Beautiful card!! What do I collect??? I dont get to get new things as much now but I still have what I collected over the years. Two things that I loved to collect was anything to do with Santa. And I love Disney, and Mickey Minnie and the 101 Dalmatian were the main but I have Lots of ornaments, plates, globes, and whatever else I came across . My favorite item is my 101 Dalmatian watch! You are so prolific and moving a bit faster than I can keep pace with you. Another beautiful card and an exquisite die. Thank you for sharing again and again. Love the creative team you have brought together simply for our delight and challenge. As I am packing up my home for a move, I have come across so may “how to” books, that…I would have to say…I must collect them. Ever since I was a child I’ve wanted to learn about things and how to make things. My later years have provided just the time and ease for me to do anything and everything I want to do. 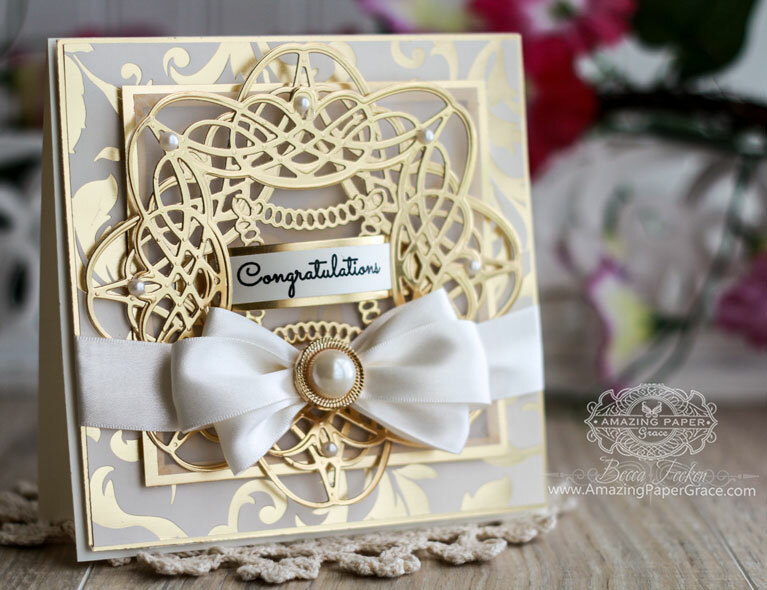 Hi Becca, This Braided Grace card is stunning !! I am a collector of Recipe Books, and also Porcelain Dolls, but I tend to get carried away so I have to ‘rein myself in’ hahaha. I’m also a collector of ‘craft stuff’, I need to rein myself in with that too hahaha. Oh my oh my … this is truly beautiful Becca. So opulent and Rich. Oh to receive a card like this. This is everything I like… I’m loving flowers at the moment too but this is so me. Oh my GOSH! This is soo soo beautiful Becca, I´m totally blown away over this card. So gorgeous and so elegant. I´ve collected refriderator magnets most of my life, and have some from many many countries in the world, and even participated in a swap once, where we all had to make some ourself, that was symbolizing the country, we lived in, and that was fun, just unfortunately not all did that, but guess that´s how it always are. Becca your new dies are gorgeous and so is your card this morning, Love your work and yes I collect craft dies, paper and anything connected to craft lol. What can I say Becca, craft stuff, I am thinking of having a little sale so I can purchase more new stuff. I love your cards. from Philippines, China,Singapore and Ice Land to name but a few , they are at this moment in Macedonia back home on Sunday and i will have another to my collection. Hi Becca WOW things are moving fast ! Oh gorgeous card! I have collected blown glass for more than 48 yrs, I’ve gotten pieces from Disneyland, Olveria Street (CA), and many many more places, I can tell you who gave me what pieces and why. I cherish my collection and will be sadden some day that this new generation doesn’t seem interested in collecting items or things they love! I love how the double die cut was stacked to make 8 even design points and the sentiment was bowed. 100% Elegant…Thanks for sharing! Oh my, what a gorgeous card!! It is just perfect for anyone or any occasion. Your card is amazing, Becca, so elegan”t and beautiful! How I envy your ability to stack die cuts! Yours always look gorgeous; mind, not so much. I will keep at it ’til it starts to resemble something like the lovely creations you craft. Actually, I collect cards from designers I love. I have two of yours! And, I collect 1/4″ scale Front Porch miniatures. I go to an annual fund raising event that is a miniaturists dream! Three days of classes and camaraderie with ladies from all over the U.S. One of the classes each year is a quarter-scale front porch in a clear plastic photo box to hang on the wall. 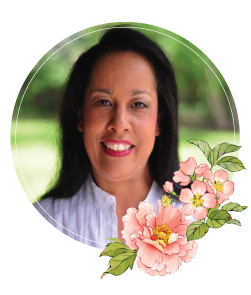 We’ve done a Victorian front porch, a Mountain Home front porch, a Campsite front porch, a Christmas Decorated front porch and others designed by Judy Jaynes and taught by Judy at the retreat. I also collect picture post cards and/or sketches that I can frame and hang from places we have travelled. My dear, you know how I love the gold, this is above and beyond, just magnificent. I collect “SPELLBINDER” DIES! I don’t just collect them, I use them! Couple more this weekend at the Scrapbook Expo in Orlando. Won a package of Justrite stamps, really nice!Great time, old friends, new friends! Tell us about your Canada trip, please!! Love how you offset the die like that! Really adds a lot of elegance! Also like the designer paper that you used behind it. I’m a collector of all kings of crafting supplies… Card makings supplies, stamping, dies, cardstock…sewing, knitting, watercolours, and now calligraphy supplies.